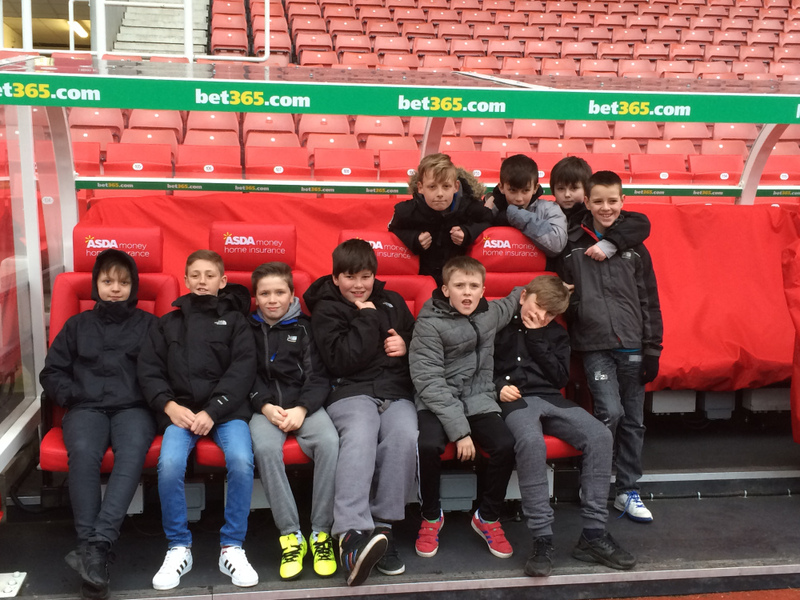 On Wednesday 2nd March 2016, Mr Pendlebury and Mr Duff accompanied myself and 12 boys to Stoke City FC as part of the Premier League Reading Stars Programme. The students enjoyed a tour of the ground followed by an evening meal before returning to the ground to enjoy the Stoke vs Newcastle game. The boys really enjoyed themselves and behaved impeccably – a real credit to the Academy. The questions that the boys asked were very mature and this ensured that the tour was incredibly interesting and informative for all involved. The boys were taken around the ground, into the changing rooms where they could see the kits laid out before the game and then into the press room where they each got to take on the role of manager/player and act out a press conference. The match itself was cold but excellent, especially as Stoke beat Newcastle 1-0.